The following list of speakers and panelists will be attending CBHDA’s 2018 Behavioral Health Policy Forum. Senator Scott Wiener represents San Francisco and northern San Mateo County in the California State Senate. Elected in 2016, Senator Wiener focuses extensively on housing, transportation, civil rights, criminal justice reform, clean energy, and alleviating poverty. He chairs the Senate Human Services Committee. Before being elected to the Senate, Senator Wiener served as a member of the San Francisco Board of Supervisors, representing the district previously represented by Harvey Milk, and chaired the San Francisco County Transportation Authority. Before being elected to office, Senator Wiener practiced law for 15 years, including nearly a decade as a Deputy City Attorney in the San Francisco City Attorney’s Office. He also served in a number of community leadership roles, including co-chair of the San Francisco LGBT Community Center and on the national Board of Directors of the Human Rights Campaign. Senator Wiener has lived in San Francisco’s Castro neighborhood since 1997. He received degrees from Duke University and Harvard Law School. For more than 30 years, Rita Soronen has worked on behalf of abused, neglected and vulnerable children, providing leadership for local, state and national efforts working to improve the juvenile justice and child welfare systems, while striving to assure safe and permanent homes for North America’s children. 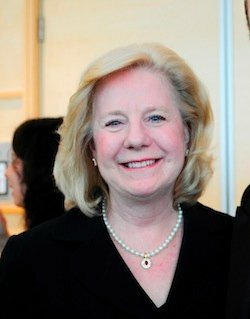 Leading the Dave Thomas Foundation for Adoption, a national nonprofit public charity, since 2001 and the Dave Thomas Foundation for Adoption-Canada since 2004, Ms. Soronen works to find adoptive families for the more than 150,000 waiting children in North America’s foster care systems. More here. Kelechi Ubozoh is a nationally recognized suicide prevention advocate and featured in the SAMSHA Award-Winning documentary, The S Word, which follows the lives of suicide attempt survivors in an effort to end the stigma and silence around suicide. This year, Ms. Ubozoh appeared on CBS This Morning with Gayle King, Good Morning America, and ABC Channel 7 News to support a national conversation about suicide prevention. Her story of recovery will be featured in O, The Oprah Magazine next year. In summer of 2019, her book with co-editor Liz Green, We’ve Been Too Patient will be released from Penguin Random House. We’ve Been Too Patient is a collection of diverse stories of radical healing and consider the recent movement towards reform in the mental health field, including the consumer movement, peer support, and trauma-informed care. She currently works at CalMHSA as the Tech Suite Peer and Community Engagement Manager. Karen Larsen is a licensed marriage and family therapist (LMFT) and Director of Yolo County’s Health and Human Services Agency or HHSA for short. She has been serving the underserved of Yolo County and surrounding areas for more than two decades. Karen spent over 15 years working for community clinics as a LMFT. She began her career providing care for those struggling with substance use disorders and has worked in every modality, developing specialized services and programs and braiding funding streams to maximize the services provided. As a woman in recovery herself, Karen strives to educate partners throughout the State and County on the benefits of treating substance use disorders, and viewing those disorders as a chronic health condition rather than a moral deficit. While her focus began in the area of substance use disorders, Karen’s concentration during these years was increasingly on helping systems to achieve integrated care for physical health, mental health, and substance use disorders. This integration can provide better care for the persons in need as well as improved financial sustainability for the systems serving them. This passion for integrating care was one of the driving forces that brought Karen to Yolo County. She joined the County as the Mental Health Director and Alcohol & Drug Administrator in March 2014 just as the Agency was beginning to integrate the Departments of Health, Employment and Social Services, and Alcohol, Drug and Mental Health. In May 2016, Karen accepted the position of Director for Yolo County’s newly-integrated Health and Human Services Agency. In this new role, Karen works closely with her executive team and employees to assist Yolo County residents in achieving health, safety and economic stability. The Agency’s current strategic plan goals are to improve outcomes for clients and community, ensure fiscal health, strengthen HHSA integration, and make data informed decisions and create a culture of quality. Karen is active in local and statewide groups engaging in cross-system collaboration to address social determinants of health for vulnerable populations. She also serves on the Board of Directors for CWDA and CBHDA as well as Partnership Healthplan of California. 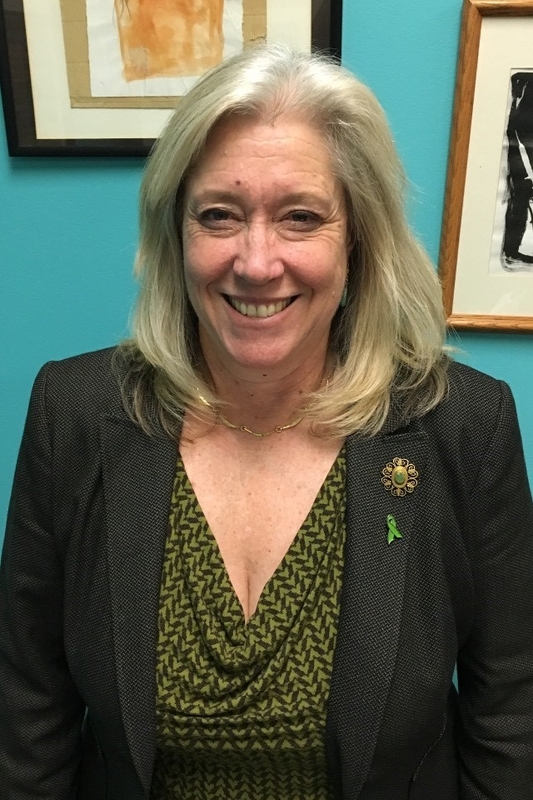 Additionally, Karen is a member of Yolo County’s Community Corrections Partnership and Co-Chair for CBHDA’s Criminal Justice Committee and Behavioral Health 2020 Committee and CWDA’s Children’s Committee. Karen Lancaster is the Program Director of the San Francisco Fully Integrated Recovery Services Team (SF FIRST) with the San Francisco Department of Public Health. She is a tireless champion for those with extensive histories of trauma and works to promote the wellness and recovery of San Francisco’s most at-risk residents. In addition, She oversees the team’s coordination with community partners such as: High Users of Multiple Services, Direct Access to Housing and Access4Jobs. Karen is a licensed Marriage and Family Therapist with a Bachelor and Master’s Degree in Psychology. She has more than 17 years of experience providing intensive case management services to homeless individuals with co-occurring psychiatric, substance abuse and medical conditions. Karen was born and raised in the Bay Area and continues to reside there with her husband and two daughters. With over 30 years of advocacy and legislative experience, Connie Delgado is the CEO of Delgado Government Affairs, LLC. 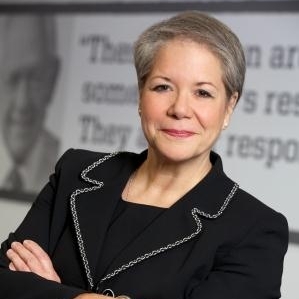 Prior to opening her firm, Ms. Delgado spent nearly 30 years in trade association advocacy, working for the California New Car Dealers Association, the American Electronics Association and most recently the California Hospital Association (CHA), where she served as the Chief Legislative Advocate since 2013 having joined CHA in 1999. While at CHA she managed an annual caseload of over 200 bills for association, coordinated the strategic legislative affairs and provided testimony before various legislative committees. Her main areas of issue advocacy include trauma/EM, privacy, nursing, and hospital licensing. She started her career as a capitol staffer working for the Elections, Reapportionment & Constitutional Amendments Committee and has worked on numerous political campaigns in California. Ms. Delgado has a Bachelor of Arts degree in political science from the University of California at Davis (1988). She serves as a guest lecturer in political science at Consumnes River College and has served on various boards to encourage political involvement among high school students. Ms. Kniffen leads the organization’s work on child welfare and foster care issues in Children Now’s Sacramento office. 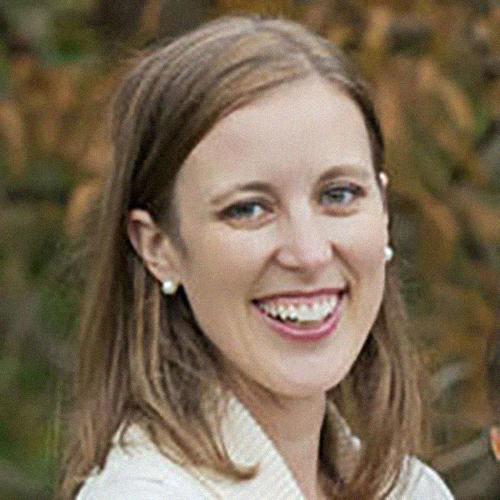 Previously, Ms. Kniffen worked as a Legislative Aide in the State Capitol, managed public policy efforts at Casey Family Programs related to child welfare and foster care, and worked for Fight Crime: Invest in Kids, where she developed a public policy agenda on issues pertaining to child abuse and neglect prevention, the juvenile justice system, and the child welfare system. Ms. Kniffen holds a MPA from the University of Southern California and a BA in Government from Claremont McKenna College. Mara Madrigal-Weiss is the Director of Student Wellness and Positive School Climate with the San Diego County Office of Education. Her experience includes working with school communities as a Family Case Manager, Protective Services Worker and Family Resource Center Director. Ms. Madrigal-Weiss received her M.A. in Human Behavior from National University; a M.Ed in counseling and a M.Ed in Educational Leadership from Point Loma Nazarene University. Madrigal-Weiss has been dedicated to promoting student mental health and wellness for over 15 years. She has lead the efforts in San Diego county to certify over 3000 educators and other youth serving adults. She has also dedicated her efforts to building the capacity of schools to provide positive and engaging climates where youth feel safe, respected and valued. Ms. Madrigal-Weiss has presented at workshops across the nation and is considered an expert in cross-system collaboration among youth serving agencies. She is a past president of the International Bullying Prevention Association (IBPA) the only international association dedicated to eradicating bullying worldwide. She is a member of the California Department of Education’s Student Mental Health Policy Workgroup that recently passed AB 2246 requiring all school districts in California to adopt/enhance a suicide prevention policy. At present Mara Madrigal-Weiss fills the seat of designee of the State Superintendent of Public Instruction as a Commissioner on the Mental Health Services and Oversight Commission. More here. Laura Thomas is the Interim State Director, California, of the Drug Policy Alliance, the nation's leading organization working to end the war on drugs, where she leads work on cutting-edge harm reduction policies and legislation. She has been advocating on HIV and public health issues in San Francisco for nearly 30 years, since becoming involved in AIDS activism through ACT UP in San Francisco. She has worked for community-based organizations in San Francisco’s Tenderloin neighborhood, the San Francisco AIDS Foundation, the San Francisco Department of Public Health, and as a health policy consultant. She was appointed to the Entertainment Commission in 2016, where she serves in the public health seat. She is a member of the San Francisco HIV Community Planning Council and sits on the Cannabis State Legalization Task Force. She graduated from the University of California, Berkeley with a Masters in Public Health and a Masters in Public Policy. 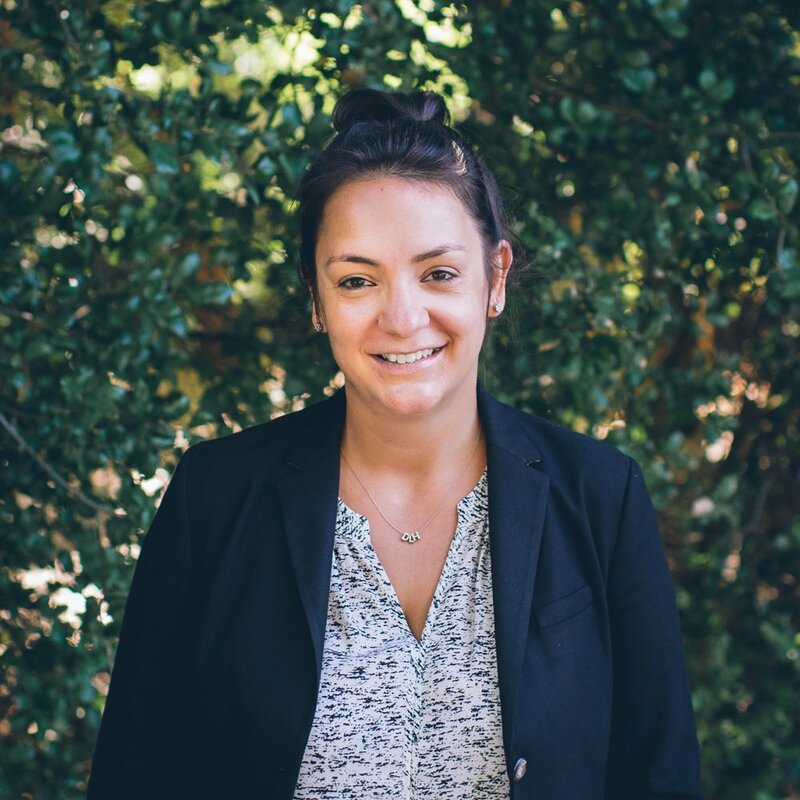 Amanda Dickey is the Director of Intergovernmental and Legal Affairs at the California County Superintendents Educational Services Association (CCSESA). Her areas of expertise include early education, special education, school-based health and mental health, charter schools, and federal legislation and advocacy. Amanda is a graduate of Pacific McGeorge School of Law, where she concentrated in legislative interpretation and civil rights, and is admitted to practice law in the state of California. Prior to his election, Supervisor Mandelman served as a Deputy City Attorney for the City of Oakland and as an elected Trustee on the City College of San Francisco Board of Trustees. As a Deputy City Attorney, Supervisor Mandelman practiced primarily in the areas of real estate, economic development, and affordable housing. Supervisor Mandelman has been active on a variety of public and nonprofit boards, having served as a commissioner on San Francisco’s Building Inspection Commission and Board of Appeals, a member of the Bay Area Jewish Community Relations Council, president of the Board of Directors of Livable City, and Co-Chair of the San Francisco LGBT Community Center Board. A past president of the Noe Valley and Harvey Milk LGBT Democratic Clubs, Supervisor Mandelman has been an elected member of the San Francisco Democratic County Central Committee since 2006. Supervisor Mandelman grew up in San Francisco, attending Brandeis-Hillel Day School and Lick-Wilmerding High School prior to earning a B.A. in History from Yale College, a Master of Public Policy from Harvard’s John F. Kennedy School of Government and a law degree from UC Berkeley’s Boalt Hall School of Law. Anne Robin, LMFT, is the Behavioral Health Director for the County of San Luis Obispo. She served as co-chair of the Criminal Justice Committee of CBHDA from 2011 through 2018. She is currently the co-chair of the Cultural Competency, Ethnic Services, and Social Justice Committee. She has worked in both non-profit and County public behavioral health services for over 35 years. Tom is responsible for statewide efforts to increase local government funding and support for both adult and adolescent alcohol and other drug prevention and treatment services. His leadership goals are a commitment to work toward better public understanding of substance use disorder issues, and a commitment to help advance public support for behavioral health programs, their clients, and the workforce that directly provide prevention and treatment services. Dean True is currently the Branch Director of Adult Services for the Shasta County Health and Human Services Agency. Mr. True has been a Registered Nurse for over 32 years, working primarily in the behavioral health field. Since 2000 his work has centered on county systems, including those of Tehama and Butte, assuming his current position with Shasta in 2012. Mr. True’s work has focused on management positions responsible for program development, oversight, public policy, managed care, quality assurance, and privacy/compliance. In addition to being an RN, Mr. True holds a Master’s in Public Administration from the California State University, Chico. 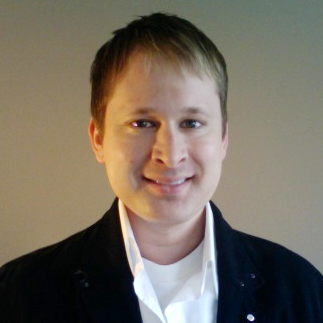 Jeremy Wilson is the Senior Program Manager for the California Mental Health Services Authority (CalMHSA). He has 16 years of experience in community based behavioral health at the county and state level, including youth development and prevention, training, evaluation, community engagement, and program management. He has most recently served as the lead for a statewide mental health initiative that increased the California public library workforce’s knowledge and skills on mental wellness. Jeremy obtained his Master’s in Public Policy and Administration from Northwestern University. Stephanie Welch is the Executive Officer of the Council on Criminal Justice and Behavioral Health (CCJBH) based in the Office of the Secretary at the California Department of Corrections and Rehabilitation (CDCR). CCJBH is charged with investigating, identifying and promoting effective prevention, diversion and reentry strategies for youth and adults with behavioral health issues who are justice involved or at risk of such involvement. Stephanie also represents CDCR on the Statewide Homeless Coordinating and Financing Council which oversees California’s strategies to promote housing-first programming and end homelessness. Stephanie has nearly two decades of experience in mental health policy, program administration, and advocacy, and holds an MSW from University of Southern California and a BA in Sociology from the University of California, Davis. Prior to state service, Ms. Welch was the Senior Program Manager at the California Mental Health Services Authority (CalMHSA). In addition she has worked as an Associate Director at the County Behavioral Health Directors Association of California, as a Mental Health Services Act program consultant for the Los Angeles County Department of Mental Health, and as an Associate Director for the California Council of Community Behavioral Health Agencies (CCCMHA) and the Mental Health Association in California. Tony Vartan is a healthcare leader with extensive executive, operational and clinical experience in hospital and outpatient services. He currently is the Director of Behavioral Health Services for the County of San Joaquin. Tony has over 30 years of experience in Health and Behavioral Health services both in public and private sector. His experience includes 19 years with Tenet Health Systems where he served as the Associate Administrator for Doctors Medical Center. Tony was involved in the purchase of Doctors Behavioral Health Center where he redesigned the delivery of psychiatric services, implemented innovative changes, created new program startups, and led the facility for 10 years as the Administrator and Chief Behavioral Health Officer. 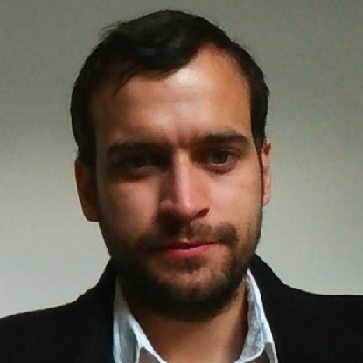 Tony ‘s experience includes design and implementation of high quality Psychiatric Emergency services. He has collaborated in projects that reduced delays and improved the delivery of emergency psychiatric services at various hospital emergency departments. A few of Tony’s memberships include, executive member of the California Behavioral Health Directors Association (CBHDA), executive member of the Law Enforcement Assisted Diversions Project (LEAD), a member of the National Association of Social Work (NASW) and a former Member of the California Hospital Association’s (CHA)Behavioral Health Board. Mary Lally-De Alba RN is dedicated in serving the rural community of Reedley by acting as the Director of Nursing Emergency and Medical Surgical Services at Adventist Health since 2012. Mary is popular with the 100+ staff members she directly oversees in the 49-bed acute-care hospital. Mary currently is an active member of her behavior health committee and sits on several committees to improve patient care and outcomes. Mary has the reputation as being a hands-on director, while maintaining excellent clinical oversight for nursing practice throughout the facility. Mary actively participates in community education opportunities and enjoys 5K fundraisers on a monthly basis. Curley L. Bonds, MD is the Chief Deputy Director, Clinical Operations for the Los Angeles County Department of Mental Health (LAC-DMH. Prior to his appointment as Chief Deputy at DMH, Dr. Bonds served as Medical Director for Didi Hirsch Mental Health Services. He has held key roles in clinical leadership at Charles R. Drew University (CDU) and the David Geffen School of Medicine at UCLA. He holds faculty appointments as Health Sciences Clinical Professor at UCLA and Professor and Chair of Psychiatry at CDU. Dr. Bonds has won numerous teaching and advocacy awards including The Exemplary Psychiatrist Award from the National Alliance on Mental Illness (NAMI) in 2009. Dr. Bonds is active with several professional organizations including the American Association of Community Psychiatrists, the National Medical Association, the Association of LGBTQ Psychiatrists, the Black Psychiatrists of America and the American Psychiatric Association. He is a past president of the Southern California Psychiatric Society. His areas of clinical expertise include healthcare disparities, cross cultural psychiatry, psychosomatic medicine, HIV/AIDS and community based collaborative healthcare. 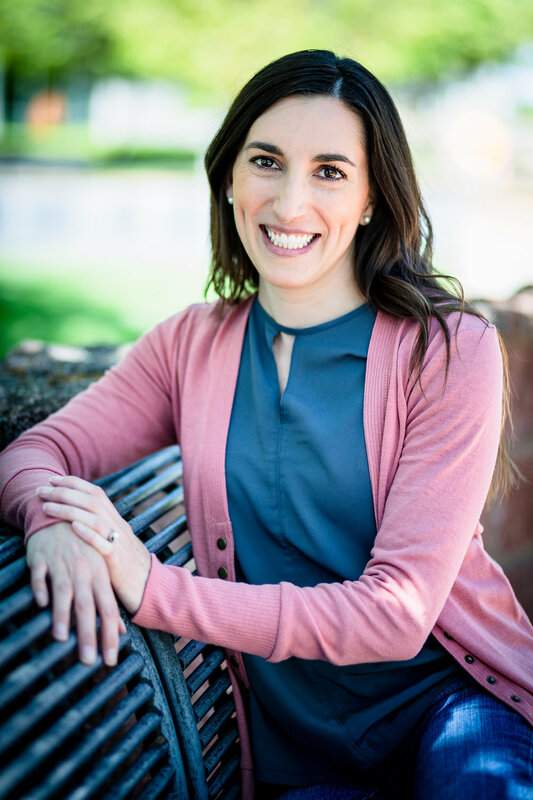 Alissa Nourse, M.Ed., is a leadership trainer, meeting and retreat facilitator and experiential educator and is the former Director of the Alpine County Behavioral Health Department. She has been working with youth and families in strength based programming since 1990. Alissa also served as the Executive Director of a non-profit counseling and supportive services agency serving 2 states and 4 counties for 9 years. Alissa received her Master’s Degree in Education from Harvard University in 1999. Since that time, she has been combining her skills in organizational development with her background and education in building organizations and teams that are resilient, sustainable and ethical. She works to build courage in leaders and emerging leaders by helping them do the inside work of clarifying their values and building on their strengths. Alissa lives in the Sierra Nevada mountains and is a passionate snowboarder, skier, road and mountain biker, yogi, meditator, paddleboarder, and hiker. Jim Comes, MD, FACEP serves as the Chief of Emergency Medicine and the Gene W. Kallsen, MD, Endowed Chair in Emergency Medicine at UCSF Fresno. He also holds a position of Vice‐Chair of Emergency Medicine at UCSF. Dr. Comes provides visionary leadership for the clinical, educational and research components of emergency medicine at UCSF Fresno. Comes currently oversees the Emergency Department at Community Regional Medical Center, one of the busiest emergency departments in the state and home to the only Level 1 trauma and comprehensive burn center from Sacramento to Los Angeles. Comes has dedicated his career to graduate medical education, serving in an educational leadership role for the past 25 years. He was program director for the transitional‐year internship and assistant residency director prior to serving as program director of the UCSF Fresno Emergency Medicine Residency Program from 2006 to 2017. He earned bachelor’s degrees in chemistry and biology from the University of California, Irvine and his medical degree from the University of Pennsylvania School of Medicine. He completed residency training in emergency medicine at UCSF Fresno (formerly known as Valley Medical Center). Sarah Arnquist is a Vice President of Client Partnerships with Beacon Health Options. Sarah’s work focuses on designing and implementing programs to deliver mental health and substance use services. Prior to joining Beacon, Sarah worked as a health policy consultant, working directly with Medi-Cal leadership and engaging stakeholders on pressing public policy issues. Previously, she worked at Harvard University’s Global Health Delivery Program, where she studied international models of large-scale health care delivery, and as a newspaper reporter in Northern California. She won numerous journalism awards for her coverage of health and social welfare issues and has published in many outlets, including the New York Times and Harvard Business School Press. Sarah has a master’s degree in public health from Johns Hopkins Bloomberg School of Public Health and a Bachelor's degree in Journalism from the University of St. Thomas. 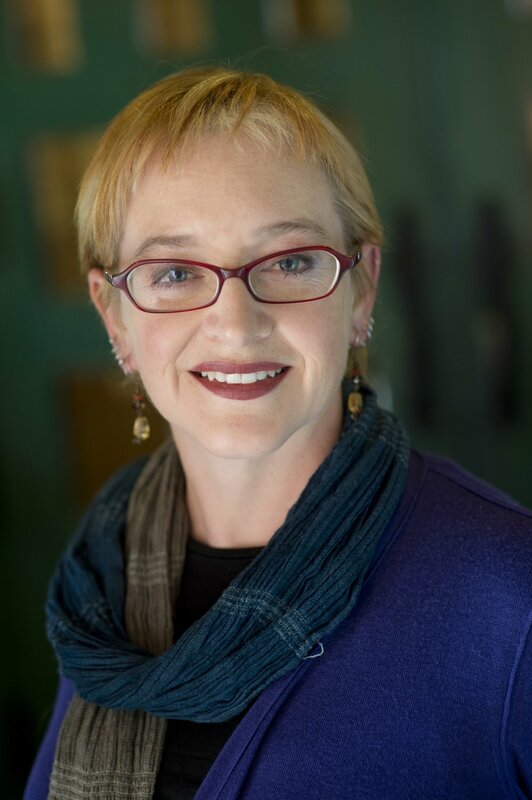 Dr. Innes-Gomberg received her PhD from CSPP-LA in 1992 and is the Deputy Director over Program Development and Outcomes for the Los Angeles County Department of Mental Health. Over her 25 year career she has assumed leadership roles in Jail Mental Health Services, Adult System of Care, served as a District Chief for the Long Beach/South Bay areas of Los Angeles County and oversees the administration of the Mental Health Services Act. Dr. Innes-Gomberg is the Co-Chair of the County Behavioral Health Directors’ Association’s (CBHDA) MHSA Committee, including a member of its Governing Board. She is a leader in LA County and across the State on the MHSA and on outcome and evaluation of mental health programs. Kavoos Ghane Bassiri, LMFT, LPCC, CGP is the Director of Behavioral Health Services at San Francisco Department of Public Health, for the City and County of San Francisco. He is a Licensed Marriage & Family Therapist, Licensed Professional Clinical Counselor and a Certified Group Psychotherapist. Also, he is an Associate Clinical Professor in the Department of Psychiatry at UCSF School of Medicine. Dr. Amie Miller is the Behavioral Health Director for Monterey County overseeing mental health and substance use disorder services. She has worked with Monterey County for 13 years. During this time she oversaw Quality Improvement and the implementation of the electronic medical record. She is a licensed mental health clinician who has worked with Transition Age Youth as well as our Access Services in the South County region of Monterey. April Johnson is the co-founder & communications director of Aging UP, a nonprofit in Sacramento, CA that provides one-to-one mentoring for youth with experience in foster care. April has more than ten years of experience in nonprofit marketing/PR and fundraising. Before finishing her bachelor’s degree, she spent a year in South Africa. During this time, she taught HIV/AIDS education to primary school students and weekly life skills and Bible lessons to children at an orphanage. Upon returning home, April continued her education at California State University, Sacramento, where she earned a Bachelor of Arts in communications, emphasis in public relations. Simultaneously, she began her career at a nonprofit adoption agency. As she ventured into new career opportunities, the unmet needs of youth in foster care remained a concern. She joined forces with a former colleague and together they developed Aging UP to be a strength-based, trauma-informed mentoring program. Dr. Jei Africa has committed his career to building behavioral health systems that are accessible and responsive to the needs of all communities. Dr. Africa currently serves as the Director of Behavioral Health and Recovery Services (BHRS) in Marin County, California. Previously, he was the Director of the Office of Diversity and Equity (ODE) of San Mateo County Health. In this role, he led delivery system transformation efforts that promote effective and culturally responsive services throughout the county and beyond. Major accomplishments include spearheading efforts to launch the county’s first LGBTQ+ community center and developing an organizational framework to institutionalize equity policies and practices in systems of care. He previously served as the Clinical Director at Community Overcoming Relationship Abuse (CORA) and the Manager of Youth Treatment Services at Asian American Recovery Services (AARS). Dr. Africa is an adjunct faculty member at the University of Southern California (USC) Price School of Public Policy and a fellow of the California Health Care Foundation (CHCF) Leadership Program. He was a senior research faculty member at the California School of Professional Psychology at Alliant International University (CSPP/AIU). He teaches in the areas of behavioral health, leadership, cultural competence, and diversity. By training, he is a licensed clinical psychologist and a certified addiction treatment counselor. He maintains a consulting and private psychotherapy practice in the Bay Area. As a staunch advocate for equity and social justice, Dr. Africa commits his own time to serving the Filipino and LGBTQ+ communities by volunteering with the Alliance for Community Empowerment (ALLICE) and the Mabuhay Health Center. He is also a founding member of the San Mateo County LGBTQ+ Commission and a board member of National Alliance on Mental Illness California (NAMI-CA). Robb Layne is a dynamic and business focused executive with proven experience in the private, nonprofit and public sector. Currently serving as the Director of Communication and External Affairs at The County Behavioral Health Directors Association, Robb is regarded as a strategic problem solver with demonstrated success in coalition building, community relations, social media, and legislative solutions. A graduate from UC Davis, Robb Layne has over eight years’ experience serving in the California State Capital for Assemblymembers Mary Hayashi, Dave Jones, Wesley Chesbro, and Cristina Garcia. 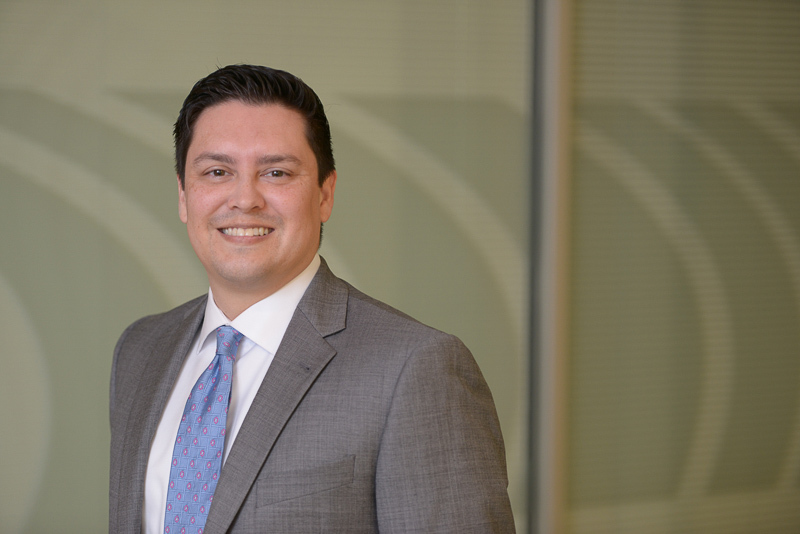 After leaving work in the capital, Robb went on to serve over three years at Partnership HealthPlan of California as their Director of Governmental Relations, Public Affairs, Compliance, Legal and Grievances. Jerry Lowe is a creative professional with over 20 years of experience as an art director, graphic designer and copywriter. His skills include creative concepting, TV and radio production, graphic design and copywriting. Jerry started his career with Deen & Black Public Relations, where he created and led the firm’s first Creative Studio. Later, with Ogilvy, Jerry worked on landmark campaigns like “Click it or Ticket” for the Office of Traffic Safety, “Don’t Trash California” for Caltrans, and California’s introduction of Covered California. Jerry now owns and operates Jettoe Advertising & Graphic Design where he works with clients like SMUD, CBHDA, Partnership HealthPlan of California and Blue Shield of California. To learn more about Jerry, please visit jettoe.com. Medical director of Street Medicine and Shelter Health, SF Department of Public Health. 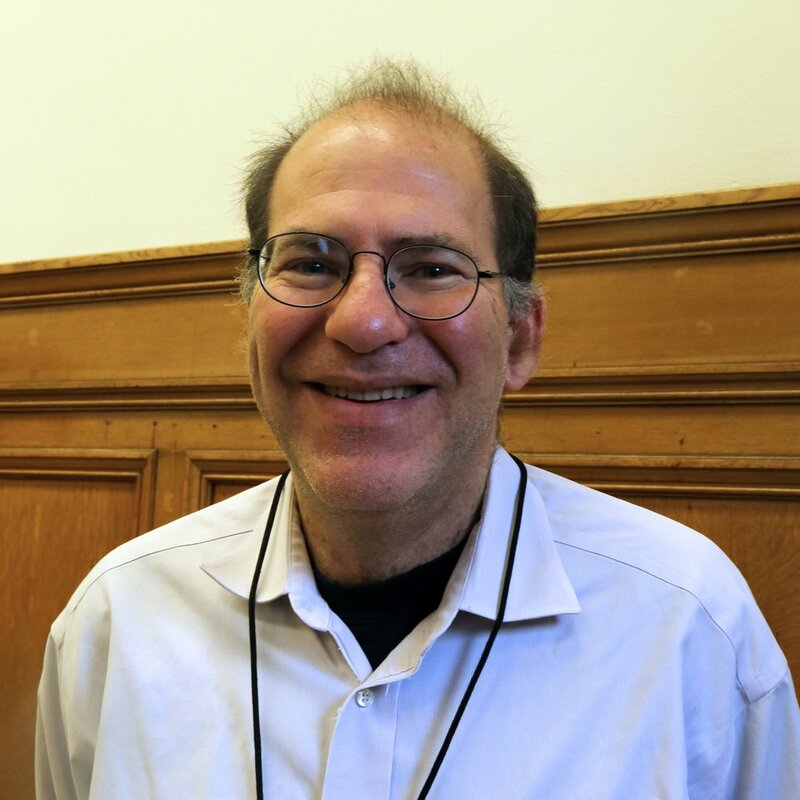 Barry Zevin is medical director of Street Medicine and Shelter Health, San Francisco Department of Public Health. He has 25 years of experience as a healthcare for the homeless physician in San Francisco. He is Board Certified in Internal Medicine and Addiction Medicine. His special interests include healthcare for homeless people, comprehensive healthcare for people who use substances, transgender healthcare, HIV and Hepatitis C disease, and harm reduction addiction medicine. He is Assistant Clinical Professor of Medicine at University of California San Francisco School of Medicine. Dr. Zevin has provided leadership for many innovative SFDPH projects including the current low barrier buprenorphine project to improve access to treatment for addiction disorders for individuals experiencing homelessness. Kiran Savage-Sangwan graduated from New York University with a B.A. and a Master of Public Administration. Prior to joining CPEHN, she worked as the Director of Legislation and Advocacy for the National Alliance on Mental Illness (NAMI) California. At NAMI CA, Kiran led policy initiatives to improve access to behavioral health care, and to reduce the stigma and discrimination surrounding mental illness. More here. Frank is a board member of the California Budget & Policy Center and a member of the California Child Welfare Council. He is a former president of the National Association of County Human Services Administrators. 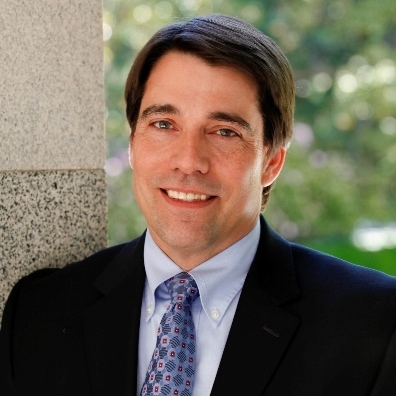 Prior to joining CWDA, Frank served as a fiscal and policy analyst for the California Legislative Analyst’s Office, where he had oversight responsibility for most child welfare programs, including Child Welfare Services, Foster Care and Adoptions. He holds a master’s degree in Public Affairs with a concentration in social welfare policy from the Lyndon B. Johnson School of Public Affairs at the University of Texas, Austin. He earned his undergraduate degree in Government and Economics from Franklin and Marshall College in Lancaster, Pennsylvania. Dr. Savill is a researcher at the University of California, San Francisco Weill Institute for Neurosciences. Dr. Savill investigates methods for early identification of psychosis, as well as implementation of early intervention to treat psychosis. He earned his PhD from the WHO Collaborating Centre for Mental Health Services Development at Queen Mary University of London, England. Current projects include developing a learning healthcare network for early psychosis programs across California; the evaluation of tech-based screening of psychosis in community services as a strategy to reduce the duration of untreated psychosis; examining the effectiveness of cognitive training delivered as part of early psychosis treatment; and a program evaluation of the San Joaquin County initiative designed to improve care provision for individuals with substance use disorders, particularly those at risk of homelessness. Alex H. Kral, a Distinguished Fellow in RTI International’s San Francisco Regional Office, is an infectious disease epidemiologist with 25 years of experience in community-based research with urban poor populations. His policy and evaluation research has included syringe exchange programs, overdose education and naloxone distribution programs, point-of-care fentanyl testing, and safe consumption service programs. Dr. Kral is the principal investigator or co-investigator on several National Institute on Drug Abuse and Laura and John Arnold Foundation funded studies of the relationship between infectious diseases, criminal justice involvement, substance use, and poverty. He has authored or coauthored more than 160 articles in peer-reviewed journals. Monica Nepomuceno, M.S.W. is an Education Programs Consultant (EPC) in the Coordinated Student Support Division at the California Department of Education (CDE). Monica has been the EPC overseeing the Mental Health Services Program at CDE since 2009. She co-chairs the Student Mental Health Policy Workgroup, a body charged with making annual policy recommendations to the State Superintendent of Public Instruction, the legislature, and other key organizations. Additionally, she has over 23 years of experience in education. Her early career was spent helping students and families overcome barriers to learning. She is most proud of her ability to build relationships with local, state, and national partners to increase awareness of and supports for student mental health. Her role at the CDE helps foster connections and leverage resources to engage non-traditional partners with schools and students. Monica is a Youth Mental Health First Aid Instructor and has delivered over 20 trainings throughout the state since 2015. Monica is passionate about helping all school staff, parents, and community members increase their knowledge and awareness of student mental health and wellness; and providing school staff with skills and resources to help students in timely, respectful, and culturally appropriate manner. She understands firsthand the effects that an undiagnosed and untreated mental health issue can have on a person's life. Her lived experience has helped her advocate for students and stresses the importance of recognizing symptoms early on. Monica is a native Californian and holds B.S.W. and a M.S.W. from the California State University, Sacramento. Zachary Franet is an account executive at Ground Floor Public Affairs in San Francisco where he works to deliver positive outcomes to a wide variety of clients. A Bay Area native, Zak experienced the foster and juvenile justice systems growing up, ultimately leading to homelessness. Through Larkin Street Youth Services, he found housing, employment and leadership opportunities and began to work in policy and advocacy roles including serving as a field representative for Mayor London Breed, chair of the San Francisco Youth Commission’s Justice and Employment Committee, and consulting with the Substance Abuse and Mental Health Administration. He is a currently an executive member of the San Francisco Youth Policy and Advisory Committee. Joy is the Mental Health Project Coordinator after first working with CYC as Policy Coordinator. Prior to that, Joy spent 7+ years as a member of both CYC and YTP. She has served our organization in a variety of leadership roles, including Santa Cruz chapter president, conference facilitator, curriculum developer, youth trainer and representative for the Bay Area region on our very own legislative committee. Joy has also worked for the National Center for Youth Law’s “FosterEd” initiative, a program centered on improving educational outcomes for foster youth, which sponsored a CYC ­supported bill to align and expand the impact of Foster Youth Services (FYS) with the Local Control Funding Formula (LCFF). Joy’s passion for youth empowerment and advocacy stems from her own experience growing up in California’s foster care system after first entering at age 5 and later permanently entering at age 11. Once she graduated from high school (concurrently emancipating from the system), Joy went on to receive her Bachelor of Arts in Sociology from the University of California, Santa Cruz. As a strong believer that youth are experts on issues impacting their lives, Joy plans to continue educating others and spreading awareness about the importance of youth voice. MPP/MPH - Senior Policy Analyst, CBHDA. Paula joined CBHDA as a Senior Policy Analyst in the spring of 2017, and is responsible for SUD-focused legislative and policy projects alongside housing and workforce issues. Recent highlights include activities related to the Drug Medi-Cal Organized Delivery System, SUD prevention, youth SUD treatment, and the implementation of federal managed care and parity regulations by county alcohol and drug programs. Prior to her time with CBHDA, Paula worked in administration and fundraising for Women’s Community Clinic of San Francisco. Paula holds master’s degrees in Public Policy and Public Health from UC Berkeley. Dr. Nancy Kotowski was elected as Monterey County Superintendent of Schools in 2006 and is now serving her third term of office. As a compassionate educator who believes youth are our most precious resource, Dr. Kotowski engages family, school, and community in support of education throughout Monterey County. She encourages each and every person to play a role in helping our children to succeed. 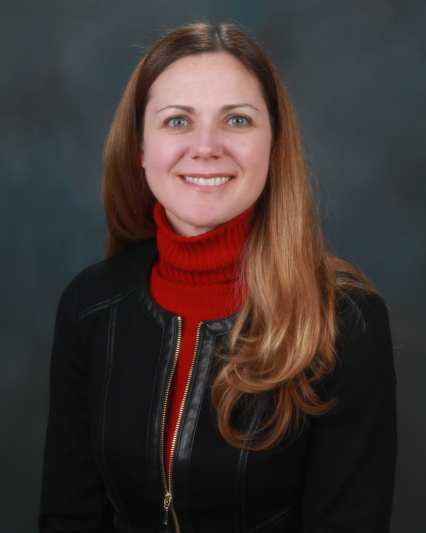 Dr. Kotowski earned her Ph.D. from the University of Southern California, her Master's degree from Northwestern University and a Bachelor of Science degree from the University of Dayton. While serving as an U.S. Peace Corps volunteer in Cameroon, Africa, she was recognized as a Volunteer of the Year for her development work in education. She was named "Champion of Public Education and Students of California" in 2010 by the California County Superintendents Educational Services Association. Dr. Kotowski was honored with the 2013 Public Servant of the Year Award from the Monterey Peninsula Chamber of Commerce. Dr. Kotowski has served as Chair of the Monterey County Children's Council and Monterey County Education Coalition, and board member of the Monterey County Business Council, Community Alliance for Safety & Peace, and the National Steinbeck Center. On the State level, she served on the board of directors for the State Fiscal Crisis Management and Assistance Team. Pysay Phinith is the Program Director at Korean Community Center of the East Bay (KCCEB). She has a B.A. in Psychology and a Master’s degree in Social Welfare, with an emphasis in Community Mental Health from UC Berkeley. She specializes in working with the API immigrant and refugee communities, especially Cambodian refugees. Her experience includes working with chronically homeless individuals with severe mental health disabilities, child development, domestic violence, intergenerational trauma and complex traumas, mood disorders, and other co-occurring disorders. Pysay’s passion for mental health stems from her experience as a Cambodian refugee and genocide survivor. Growing up, she saw her parents and other Cambodian refugee families struggling with an array of health, mental health, and social justice issues. Today, Pysay is an advocate for social justice and social change in community mental health, wellness, and other social services. Mary Adèr has been the Deputy Director, Legislative Affairs at the County Behavioral Health Directors Association of California (CBHDA) since the spring of 2016. Prior to CBHDA she served as Senior Advisor for Government Relations at Kaiser Permanente’s national headquarters in Oakland, California. For five years she provided substantive and strategic guidance on legislation in California, Hawaii, and Georgia. Prior to joining Kaiser Permanente, Mary served for ten years as senior staff to California legislative leadership at the Assembly Appropriations Committee and the non-partisan Legislative Analyst’s Office. Mary’s areas of expertise include legislative analysis and writing, assessment of impacts of legislation and public finance. Mary holds a Master of Public Health and a Master of Public Policy from the University of California at Berkeley and a Bachelor of Arts in Psychology from Dartmouth College. Dr. Samantha Spangler, Ph.D. is Research and Evaluation Director for the California Institute for Behavioral Health Solutions. Dr. Spangler has 15 years of experience in research, analytics, and evaluation, including work with academic, government, corporate, and non-profit organizations. Dr. Spangler completed a fellowship in interdisciplinary autism research at the UC Davis MIND Institute, and has previously worked as a consultant to state and local governments nationwide to provide planning, implementation, and evaluation support for health and human services initiatives. She provides expertise in research and evaluation design and execution and works with organizations to understand how they can continuously improve the quality of their services and outcomes for the populations they serve. Stephen Manley is a Superior Court Judge in Santa Clara County and has served as a Judge for over 30 years. He presently serves as the Supervising Judge of all Felony and Misdemeanor mental health and drug cases in the Criminal Division of the Court. He developed and personally presides over a number of Treatment Court programs and calendars that include more than 2,000 offenders who participate in treatment and rehabilitation services while in Diversion, or on Probation, or Parole, and are mentally ill, mentally challenged, and substance abusers. He established one of the first Mental Health Courts in the Nation in 1998, one of the first Veterans Treatment Courts in 2012 as well as the first Parolee Reentry Court in California in 2007. The Mental Health Treatment Court and Veterans Treatment Court are two of the largest in the Nation. By appointment of the Chief Justice, he serves as a member of the California Council on Criminal Justice and Behavioral Health that advises the Governor and Legislature on policy issues relating to the mentally ill, and he is Chair of the Mental Health Committee of the Advisory Committee to the Judicial Council. He served on and authored recommendations for the Judicial Council Mental Health Task Force that were adopted by the Judicial Council relating to mentally ill offenders. He recently served as the Co- Chair with a Member of the Board of Supervisors of his County for the Jail Diversion and Custody Operations Task Force. He has also served on the faculty of the California Judicial College and speaks throughout the Country. In 2008, he received the Chief Justice’s Award for Exemplary Service and Leadership. In 2012 he received the Leadership in Justice for Children and Families award from Chief Justice Tani Cantil-Sakauye, in June, 2013, the Jacob K. Javits National Public Service Award from the American Psychiatric Association for his commitment to reducing stigma and improving the lives of persons with mental illness in the Justice System, and in 2017, the Justice for Veterans highest honor. He is a graduate of Stanford Law School. Toby Ewing, Ph.D. is the Executive Director of the Mental Health Services Oversight and Accountability Commission, the state agency that oversees mental health services in California. Dr. Ewing has worked on governance reform, government oversight and improving outcomes of public programs for many years. He has worked on a range of public policy issues, including mental health, child welfare, immigrant integration, workforce and education, and veterans projects. From 2011 through 2014, Ewing served as a consultant to the California State Senate Governance and Finance Committee. He also served as Director of the California Research Bureau from 2009 to 2011. Prior to that, for eight years, he was a Project Manager with the Little Hoover Commission, an independent body charged with improving government. 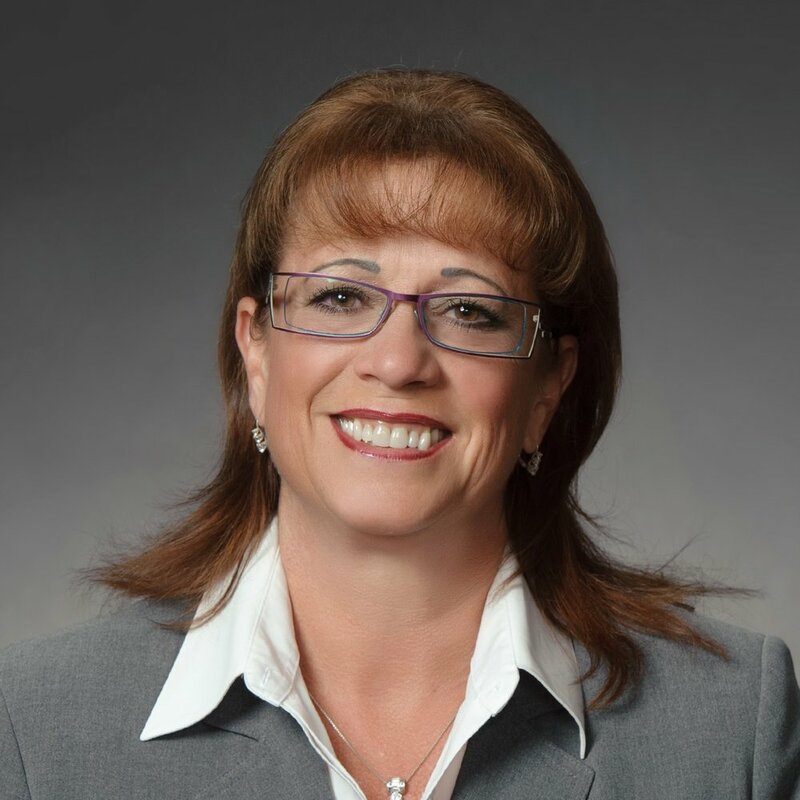 Sheree Lowe is Vice President, Behavioral Health at the California Hospital Association. In this role, Ms. Lowe serves as primary legislative advocate for hospitals serving individuals with mental health and substance use disorders. She monitors federal and state regulatory, legislative, and policy activities that impact general acute care hospitals. She is a frequent consultant and lecturer on health care issues and has coordinated nationwide trainings on federal regulations with the Centers for Medicare and Medicaid Services. Alice Gleghorn, PhD is a clinical psychologist who began her career in HIV prevention research with injection drug users in Baltimore at the Johns Hopkins University School of Hygiene and Public Health. She enjoyed 19.5 years at the San Francisco Department of Public Health prior to becoming Director of the Santa Barbara County Department of Behavioral Wellness in 2014. At SFDPH she established pioneering harm reduction policies and programs that have been honored as national models for overdose prevention and opiate treatment. Building on her research background, she established and promoted evidence-based practices including: Drug Overdose Prevention and Education (DOPE- including Naloxone distribution), Treatment On Demand, Office Based Opiate Treatment (OBOT) program, Mobile Methadone Van, Outpatient Buprenorphine Induction Clinic (OBIC), Integrated Buprenorphine Intervention Services, and the integrated Behavioral Health Access Center. In both counties, she oversaw the development of multiple supportive housing strategies for behavioral health clients ranging from 5 to 90 units. She has worked closely with physicians and pharmacists to expand knowledge and integrated approaches to behavioral health care, and has partnered with many CBO providers and faith based organizations in ensuring equitable access to care. She obtained more than 25 federal, state or foundation grants to implement, evaluate and disseminate innovative practices benefitting under-served and difficult to reach individuals experiencing homelessness, HIV risks, mental illness or substance dependence. Colleagues, community and advocates have recognized her accomplishments with the Public Policy Leadership (SFMHA) and Community Service (CSAM) awards, and she was honored as the 2016 AATOD “Marie” Award recipient for outstanding contributions to opiate treatment. Veronica A. Kelley, DSW is the Director for the San Bernardino County Department of Behavioral Health and oversees the daily operations for both Mental Health and Substance Use Disorder Services. Veronica is a member of the Governing Board for the County Behavioral Health Directors Association of California (CBHDA), she sits on the Executive Committee, serves as the Co-Chair for the Substance Abuse Prevention & Treatment (SAPT) Committee and is the Co-Chair for the Cultural Competency, Equity & Social Justice (CCESJ) Committee. She is also a Council Member to the California Behavioral Health Planning Council, Board Member to the California Mental Health Services Authority and Associate Member to the American Society of Addiction Medicine. She is a Professor at Mount St. Marys’ University teaching in the undergraduate Social Work/Sociology/Gerontology and Film Department, an Adjunct Faculty in the Masters of Social Work Program at Loma Linda University Department of Social Work and Social Ecology, and a Contract Instructor at Cal State University, San Bernardino, teaching Social Work with Alcohol and Drug Abuse. She earned her MSW from the University of Southern California and her BS in Psychology and Child Development from Mount Saint Mary's College in Los Angeles. Kelly Hiramoto is a Licensed Clinical Social Worker who earned her Bachelor’s degree in Social Welfare from UC Berkeley and her Master of Science degree in Social Work from Columbia University. She has worked in a variety of settings, including enriched housing programs, naturally occurring retirement communities and mixed housing for seniors, people with AIDS and low income working professionals in the entertainment industry in New York City. She began working in San Francisco community care management with Jewish Family Children’s Services in 1998 and then moved on to assist with the program start up for MSSP (Multipurpose Senior Services Program), Linkages and Family Caregiver Support programs in Napa-Solano counties. She returned to San Francisco and joined Institute on Aging, working her way up to Vice President of Community Care Management. She joined the San Francisco Department of Public Health Placement Division in 2008 and currently serves as the Director of the San Francisco Health Network Transitions Division, overseeing Care Coordination, Community Placement, the SF Behavioral Health Center and Street Medicine/Shelter Health Teams. The goal of the Transitions division is to ensure clients are stabilized in the most appropriate, least restrictive setting in the most cost effective manner.